Const. Ken Lam apprehended the suspect in the Toronto van attack yesterday. The fact that he arrested him alive and uninjured, says one expert, will have helped authorities with a complicated investigation. The calm actions of the arresting officer in the Toronto van attack may have helped authorities to quickly rule out terrorism, according to one security expert. In the hours after the incident, police said they were not ruling out the word "terrorism," but they were not describing it as such either. Christian Leuprecht said the fact that the suspect was still alive will have allowed them build a clearer picture of the motives behind the attack. Leuprecht is a fellow at the Matthew Flinders fellow at the Centre for Crime Policy and Research at Flinders University in South Australia. "Police would have immediately executed a search warrant on his home," Leuprecht told The Current's Anna Maria Tremonti. He thinks this "gave reasonable confidence to the authorities that this is not on the surface, prima facie, a national security event." 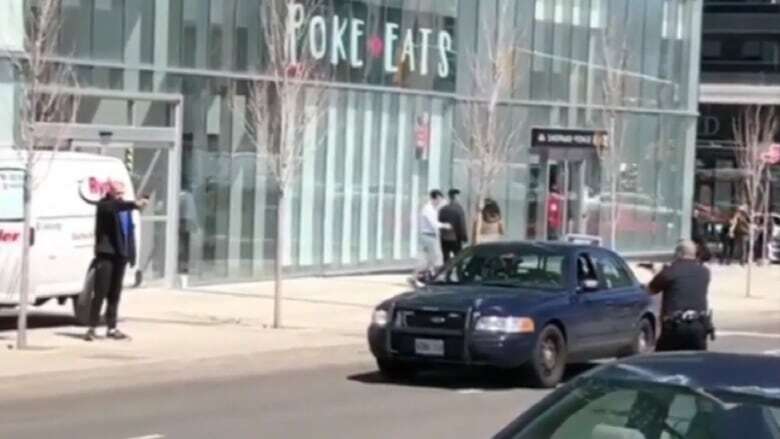 The alleged driver, Alek Minassian, travelled several blocks in the Yonge and Finch area of North York Monday afternoon, plowing into pedestrians. The 25-year-old Richmond Hill, Ont., man is charged with 10 counts of first-degree murder and 13 counts of attempted murder. Leuprecht praised the actions of the police officer, identified this morning as Const. Ken Lam, who appears to have holstered his gun and approached the suspect with only a baton. "The individual could have had a knife, the individual could have been wearing a suicide vest, so I think he went over and above the call of duty," he said. The investigation will be complicated, Leuprecht told Tremonti. "There's certainly a murder investigation which would be run by Toronto police," he said. If they find evidence of a national security concern, he added, there would be a parallel investigation by the RCMP. "The integrated national security enforcement team is shadowing this investigation," he said, "and is assessing the criminal intelligence that they have to see whether there are national security dimensions." Listen to the full conversation at the top of this page, which includes an interview with Mike McCormack, the president of the Toronto police Association, about the arresting officer's actions.